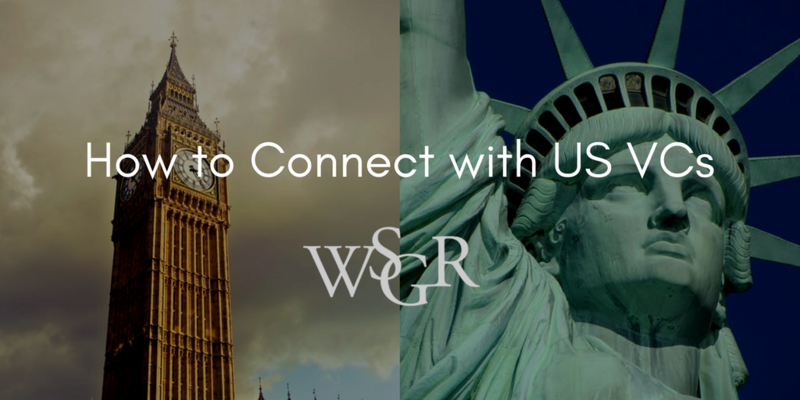 Daniel Glazer and Robert Mollen and leading UK VC firm Notion Capital have teamed up on a blog to offer their perspectives on transatlantic VC investment and considerations for UK and other non-US companies looking to raise VC funding from US investors. Check out the full series here. Non-US companies frequently ask us, “How can we meet US venture capital firms and get them to invest in our company?” This blog discusses how to connect with the US VCs that are most likely to be interested in your business. A key starting point in reaching US VCs is to identify those who are most likely to be interested in you. These are also the VCs who are likely to be the most useful to you because they can bring critical sector-specific business judgement and networks as well as cash. So, how can you find them? Next, seek advice from your existing investors, industry sources, professional advisers and other contacts who are knowledgeable about your sector. Some business sectors, like cybersecurity, are very specialised, with a limited number of key players; others are more diverse. Take advantage of trade missions and other pitch opportunities that may provide introductions to interested investors. UK Trade & Investment, for example, takes regular trade missions of UK-based companies to the US (and elsewhere), typically with a specific sector focus. These missions are sometimes led by prominent members of the UK government, such as Boris Johnson, which can help attract media attention. Participation may provide opportunities to meet interested investors and to raise your profile so that investors are contacting you, rather than vice versa. Recruit angel investors and non-executive and advisory board members who are well-connected in the markets/sectors on which you are focusing and are invested in helping your business succeed. These key connectors will not only help you attract investment – they may also provide invaluable connections to potential customers and partners, and their participation in your business may enhance your company’s credibility in the market. In a related point, use your wider network to obtain introductions. Contacting investors on a “cold call” basis is always very difficult. Don’t hesitate to ask your professional advisers, mentors, accelerators, investors, board members, government contacts and others to introduce you. Meet WSGR and other business service providers, as well as a broad spectrum of funders and other entrepreneurs, at the Business Funding Show 2018, an all-day event on 22nd February at London’s East Wintergarden. Learn more and secure your early bird ticket at bfsexpo.com.